The uninitiated may not easily class Ceredigion farmers as belonging to a threatened cultural and linguistic minority (and here I unashamedly point my finger at certain English environmentalists and nature writers). But, as Caryl Lewis’ speech this summer as winner of the Welsh-language category of Wales Book of the Year (with her novel, Y Bwthyn) made clear, that is what they are. Protectors of language and dialects, food culture, flora and fauna, of landscape and a way of life, who in turn should be championed. Lewis’ speech, and indeed her fiction, deals with conservation. The subtleties of her speech, given in Welsh, must have been lost on the English category’s judge Caroline Sanderson (of The Bookseller), who in her own address noted the cosmopolitanism of the English entries, and the winner, Thomas Morris’ We Don’t Know What We’re Doing, in particular. 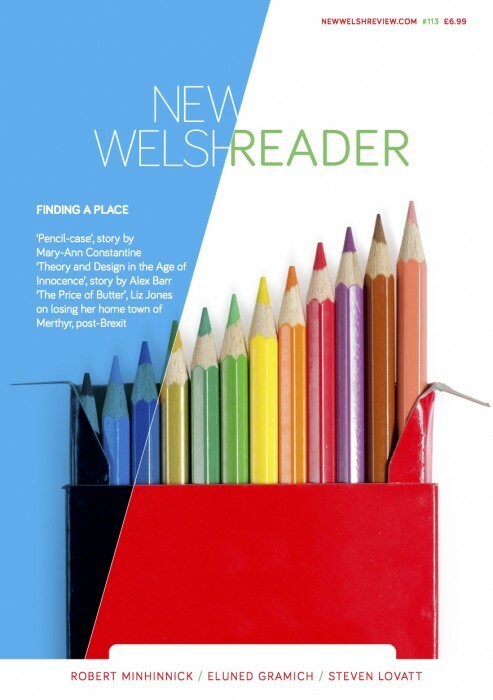 This is not a situation in which WBOY’s Welsh category winner is a ‘Leave’ novel bemoaning change and fearing loss, while the English winning novel takes us on Remain-worthy Dublin stag parties and alternative worlds. But the EU referendum result, announced only a few weeks previously, coloured my reception of the prize. It colours everything.